More secure than typical WPA2 device-if you see more users connected to your Teppy than there should be, you can identify that someone may be wifi stalking you and you can move out of wifi range. It’s not exactly free wifi, but it’s definitely cheaper than a data plan in many cases. Compatible With:ANY wifi compatible device (Windows PC, Android phones, Mac, iPad, iPhone, iPod, game consoles, all mobile devices.). Read the FAQ and get more info and video tutorials from TEP. 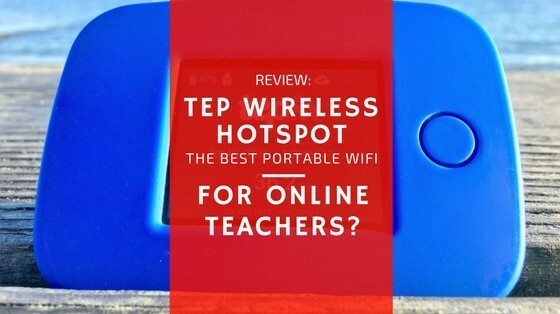 In this post, I begin my quest for the best portable WiFi hotspot device for online teachers to use in emergency situations abroad or at home. If you’ve read my post about How to Fix Internet Problems, you may have noticed the way I feel about a strong and reliable internet connection (it’s not a want, but a need). I’m sure you feel the same way! Whether we’re on the road moving from city to city, temporarily situated in an apartment in Spain (not letting that story go), or in the comfort of our own homes, one thing can be expected: we will lose or be unable to find a strong internet connection at some point. Free public WiFi is often shaky (plus I don’t this commodity), and it’s tough for us to look professional teaching in many of these places. Also, carriers at home often offer expensive international plans. We need a backup-a lightweight and reliable buddy to connect us so we can at least get through our classes and save ourselves from Teacher IT problems. Cute Name, But Do You Work Teppy? You can rent or buy one here at www.tepwireless.com. Remember to select the 4G option, and you’re good to go! Use Code TEPON for 15% off! Now, let’s cover some additional information. Weighing in at just 4.5oz, you’ll never notice it’s there. Just toss it in your bag and let the TEP hotspot provide download speeds of up to 18.6 Mbps and upload speeds of 9 Mbps. We need our devices to stay connected for the entire length of our workday, so the battery provides up to 6 hours of constant use. There’s also the option for an extended battery, and you’ll find an international/universal plug adapter to charge the Teppy when it’s feeling drained. Finally, one of my favorite features for teachers is the friendly and responsive support these guys offer. We love having a strong community that gives support and allows for positive teamwork. TEP differentiates itself from the competition in this way, as they state they are “not a technology company” but “a service company”. You can contact them 24/7 by any means you can think of (email, text, call, Facebook messenger, Live Chat, etc.) and I’ve never waited more than a few minutes for someone to get back and answer my question. They also offer a solid Satisfaction Guarantee where they’ll send you out a replacement device within 24 hours or give you a credit or refund if you’re unsatisfied. You can use it without any risk! If you choose the TEP Guru add-on, you’ll get paired with a local concierge who will greet you each day with the day’s “Hidden Gem” – “a personalized suggestion of something fun to do or interesting to see”. The free Kitestring feature allows you to ‘check-in’ while traveling, and it’ll alert your emergency contacts if you fail to do so! You can read more about the features and the FAQ on the TEP website. The Teppy is a device made for those of us who don’t want to mess around with confusing technological apparatuses to get our connection on. There’s nothing more to it. The TEP hotspot comes in a small case with all of the instructions you need. Connect up to 5 devices if you’d like, but I’d recommend only one while teaching so it’s more stable. You’ll enjoy 24 hours of internet from the moment you turn it on! Start your day in one country, travel through two more, and end in another-all without worrying about roaming fees or switching SIM cards! Albania, Antigua and Barbuda, Argentina, Aruba, Australia, Austria, Barbados, Belarus, Belgium, Bermuda, Bolivia, Brazil, Bulgaria, Cambodia, Canada, Cayman Islands, China, Christmas Island, Colombia, Costa Rica, Croatia, Curacao, Cyprus, Czech Republic, Denmark, Egypt, El Salvador, Estonia, Fiji, Finland, France, Germany, Greece, Guadeloupe, Guam, Guatemala, Haiti, Honduras, Hong Kong, Hungary, Iceland, India, Indonesia, Ireland, Israel, Italy, Jamaica, Japan, Jordan, Kazakhstan, Kenya, Kyrgyzstan, Laos, Latvia, Liechtenstein, Lithuania, Luxembourg, Macao, Malaysia, Malta, Martinique, Mexico, Monaco, Montserrat, Morocco, Netherlands, New Zealand, Nicaragua, Norway, Panama, Peru, Philippines, Poland, Portugal, Puerto Rico, Qatar, Romania, Russia, Saipan, San Marino, Singapore, Slovakia, Slovenia, South Africa, South Korea, Spain, Sri Lanka, Sweden, Switzerland, Taiwan, Tajikistan, Thailand, The Caribbean Islands, Trinidad and Tobago, Turkey, Turks and Caicos Islands, Ukraine, United Arab Emirates, United Kingdom, United States, Uruguay, Uzbekistan, Vatican, Venezuela, and Vietnam. I’ve gone through the many things I like about the TEP Wireless Hotspot, but there is always room for improvement. If you’re an archeology professor looking to share the findings from your most recent excavation in China with your students via video call, you may have trouble connecting depending on how far you are from the nearest city. While I was able to connect to the 4G network at the beach and at home in my small town in Connecticut, I did have trouble maintaining a strong signal out in the woods. I plan to update this post as I use it abroad, but TEP is the first to acknowledge some rural areas just don’t provide a strong signal. While most of us won’t be teaching from the middle of the forest, I figured it’d be useful to test the range of this little guy. If you’re located in the larger cities of the covered countries, you shouldn’t have a problem. The device cannot be used by anyone else unless they have the password, so it is your dedicated device. 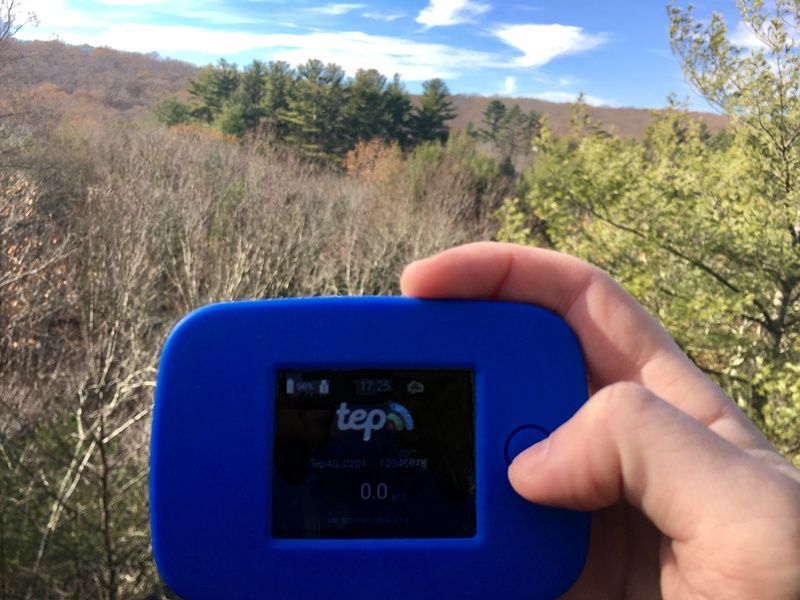 Although it’s out of TEP’s control, weather can also affect the stability of the connection. Keep that in mind if you’re planning on teaching during monsoon season. 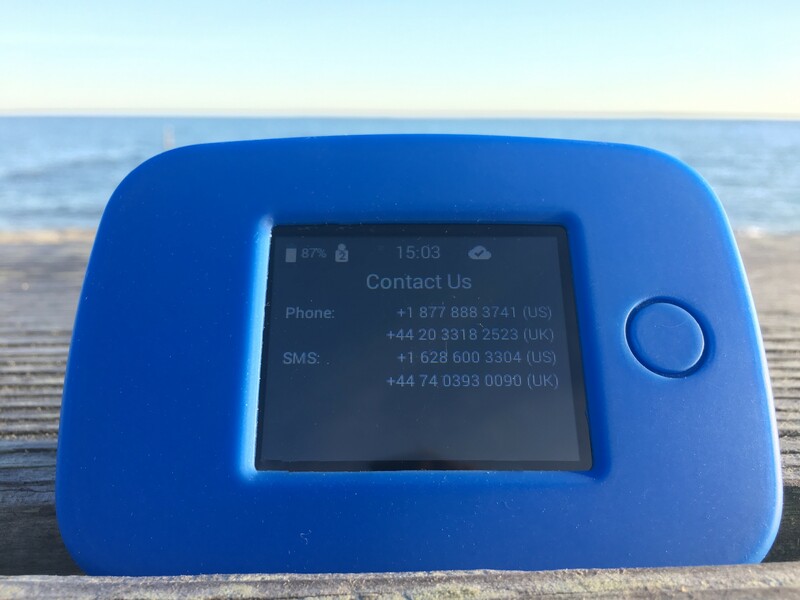 TEP was one of the pioneers in the travel connectivity market, so they’ve had years to improve upon not only the technology behind their device but the service they offer users. I streamed Youtube videos at the beach without waiting for them to load. I even taught one class while at home (with my Ethernet cable at the ready, of course…I’m not that brave!) without having to switch back to my home network. 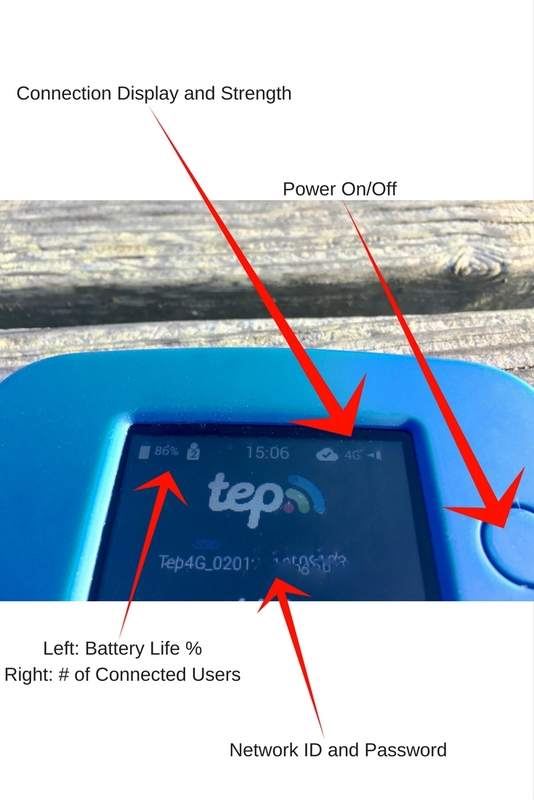 While there are other devices, most have not been around as long as the Teppy, and their ratings can’t compete with TEP’s 4.5/5 stars from over 4,300 reviews at the time of this article. Whether as a backup at home for when the internet goes down, or for SIM-card-free travel around the world, you can count on TEP for teaching online. Click Here to learn more about TEP or to rent or buy your own so you’re never without internet! What’s your experience with TEP been like? Want to recommend another device or ask a question about the Teppy? Let me know in the comments! This entry was posted in Best Tools For Teaching Online and tagged mobile wifi, pocket wifi, portable wifi, tep, wifi for travel, wireless hotspot. Bookmark the permalink. Hiya, I’m confused as to why you wouldn’t just use your phone? Most phones come with a good amount of data nowadays – or maybe I’m missing something! I do that sometimes! When traveling, my phone is currently locked in with one provider (still not sure why they wouldn’t allow me to unlock it, pretty annoying) which means I can’t switch out my SIM card for a local SIM card in a different country. This is sometimes a better solution when you’re able to, but you’ll still end up switching SIM cards as you change countries. Additionally, I’m on a shared plan with my family for my data at home so it’s quite inexpensive, but it means I’d have to pay extra per month for an international data plan. I’m not sure what it is now, but I remember at one point it was $30 extra a month for just 120 MB of data! With the TEP hotspot, you just turn it on and you’re all set for the day. You can pass through different countries without worrying about swapping SIM cards or roaming rates. As for teaching at home, I’d probably just use my phone as a hotspot if I only had a few classes to teach. If I had a bunch of students, I wouldn’t want to cut into the data shared by my other family members. If anyone wants to chime in, please share-I miss things, too! And I bet different situations with providers and cell phones call for different solutions. Currently, I am building a website to educate people camping and hiking. At some point, I will be traveling abroad and working on it at the same time. This looks like an excellent way to help me do that. I just have a question though. With technology advancing at the pace it is these days, wifi balloons will probably become an option. Could this device work with a balloon? Thank you in advance for any help you can give and I hope you have a great day! I love camping and hiking-great idea for a site! I was recently asked a great question about the time it would take between losing power in an outage and getting back into the classroom using TEP as a backup from the ‘Off’ status. As soon as you connect a device to it, the charge for a day pass will go to your account (they bill weekly). The only thing that can take a few minutes is powering up and then finding and connecting to a network. It took me about 5-7 minutes to do this. This means that you could potentially save yourself a Teacher IT and finish! Hi Jason! Can you tell me how many hours of classroom time Tep gives a day wothiutbif affecting the quality of the class? I can teach 7 hours a day at times. Could I rely only on tep if need be? 10 classes=about 1 GB, so that’s what you’ll get before they throttle the speeds down and quality is affected/annihilated :). Depending on where you’ll be, you might want to look at local data plans to use your phone as a hotspot. A number of teachers I’ve spoken to have had great success doing this. I hope that helps a little. Please let me know if I can help with anything else, and thanks for reaching out! I am planning on traveling in the states but to my grandmothers where my cell provider isn’t the best. Should I invest in a TEP? Hi Amber – not sure how I missed this one! TEP can only work as well as the cell signals do. It’s possible it will pick up the signal from a different provider that’s stronger in the area, and you’d be able to teach. But if the area is just a general deadzone, you might not have much luck. If your grandmother or a library/school nearby has strong internet, you’ll be set of course.